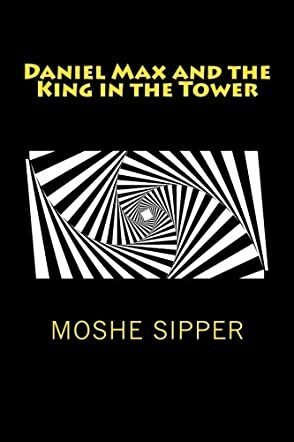 Daniel Max and the King in the Tower by Moshe Sipper is a children’s story about an adventure experienced by Daniel Max, his younger sister, Dana, and his best friend, Jake. Throughout the years there have been some mysterious disappearances in the town of Bleak Shadow. First, the founder, Edgar Alexander Dark, and then Daniel’s own father. When Jake finds a mysterious gate out behind the school, he tells Daniel about it. Daniel’s sassy younger sister overhears them speaking about it, and she threatens to tell if they don’t let her come along. The three of them go back to the mysterious gate and begin a journey they won’t soon forget. They travel through many strange lands with talking animals, riddles, giants and so much more. Move over Wonderland! Moshe Sipper has created a new land with enough adventure and intrigue for all. Daniel Max and the King in the Tower is a super fun read. I enjoyed the play on words throughout the book. My favorite character was Dana. She’s a rough and tough little girl, who doesn’t take any criticism from anyone, and had me laughing more than once. And what’s more, she can’t seem to stay with her brother. Daniel Max and the King in the Tower is the perfect story for any kid ready for an adventure. This fun and exciting story is obviously the first in a series. I can’t wait to find out the answers to all the mysteries that have been left undiscovered.